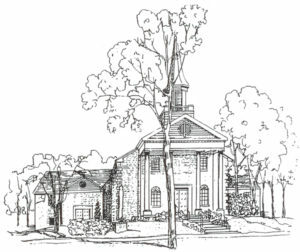 CHRIST CHURCH was birthed in 1960 as a new mission endeavor in the Evangelical United Brethren Church. Our building was built in 1964. In 1968 the EUB denomination merged with the Methodist denomination to form the United Methodist Church which Christ Church is part of today. For more information please click here. 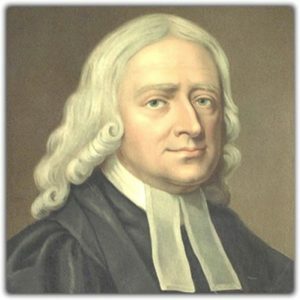 JOHN WESLEY, the founder of the Methodist Church (1700’s, England) was a bold, courageous Christian leader who was used by God to ignite fires of revival. Wesley was an Anglican priest who saw that the Church of his day was not reaching the poor masses. His passion was to see lives changed and charged the first Methodist preachers saying, “You have nothing to do but save souls!” The early Methodists championed the causes of the poor, tirelessly visited prisons, widows, distributed food, fought against child labor (in the coal mines), used the new technology called ‘the printing press’ to educate people and to give them the scriptures. Wesley organized believers to meet in small, house fellowships called “The Class Meeting” where “practical Christianity was taught in plain language.” The English (Methodist) revival in the late 1700’s spread across the Atlantic in the early 1800’s. The Methodists played a significant role in “The Great (religious) Awakening” with preachers such as George Whitfield and Francis Asbury.